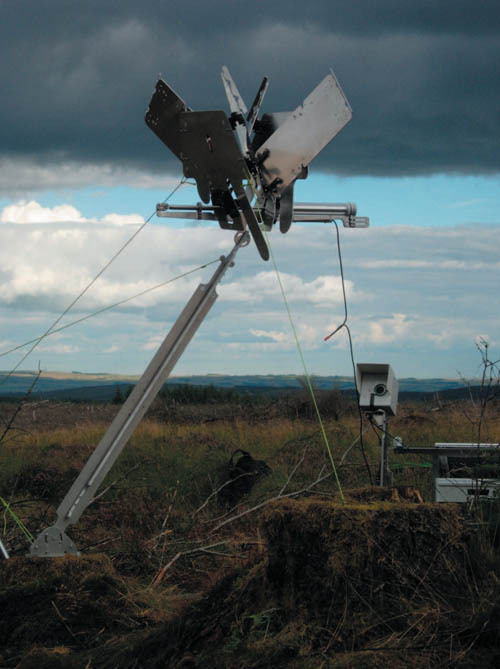 [Image: From "Kielder Probes" by Bob Sheil]. 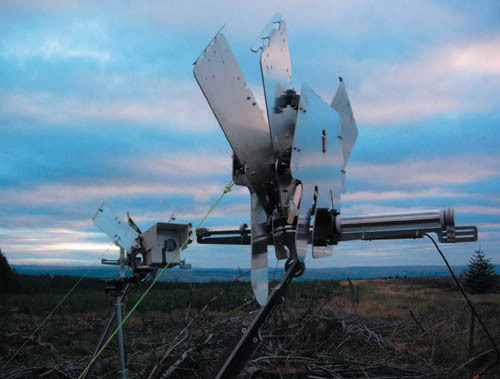 Beginning in 2003, architect Bob Sheil began experimenting with a group of "micro-environmental surveying probes" that he was later to install in Kielder Park, Northumbria, UK. The probes were designed to measure difference over time rather than the static characteristics of any given instance. 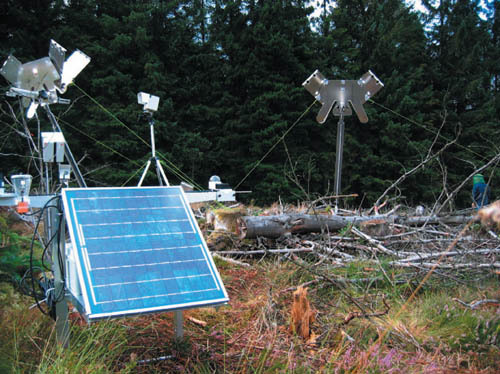 Powered by solar energy, the probes gathered and recorded ‘micro environmental data’ over time. The probes were simultaneously and physically responsive to these changes, opening out when warm and sunny, closing down when cold and dark. 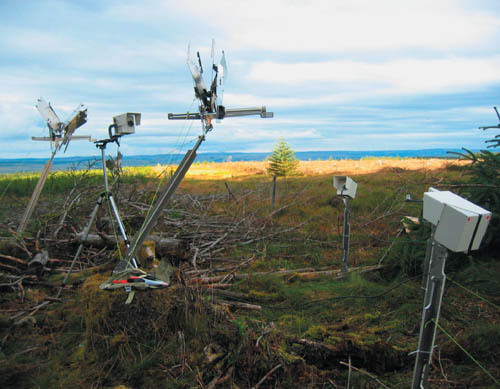 Thus not only did the probes record environmental change, but they demonstrated how these changes might induce a responsive behaviour specific to a single location. After the probes were installed, they were filmed by "an array of high-resolution digital cameras programmed to record at regular intervals." 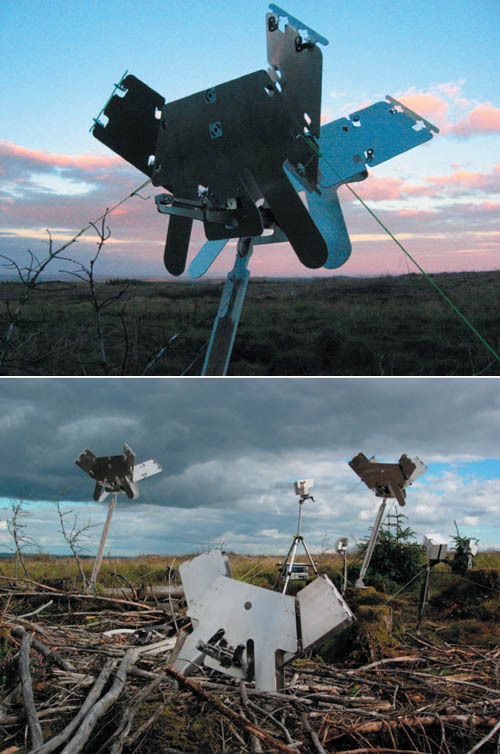 [Images: From "Kielder Probes" by Bob Sheil]. 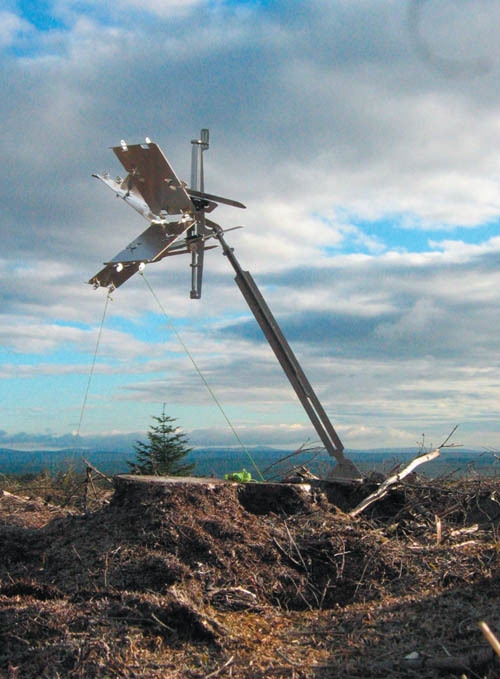 The resulting data—which took note of the climatic and solar situations in which the objects began to change—offers insights, Sheil suggests, into how "passively activated responsive architecture" might operate in other sites, under other environmental conditions. 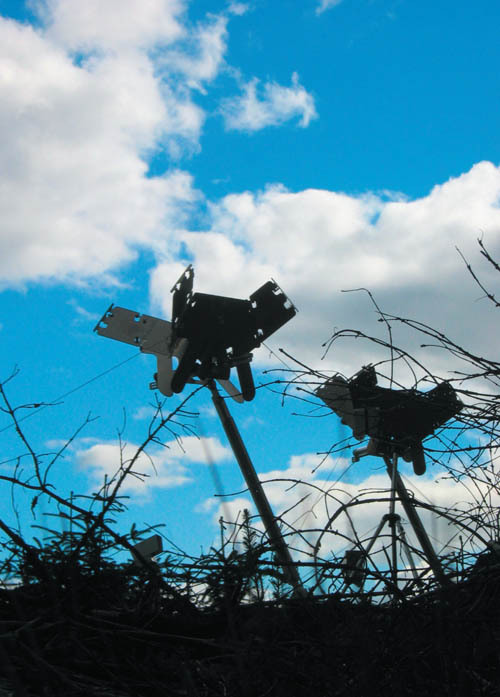 As DIY landscape-registration devices constructed from what appear to be off-the-shelf aluminum plates, they also cut an interesting formal profile above the horizon line, like rare birds or machine-flowers perched amidst the tree stumps.